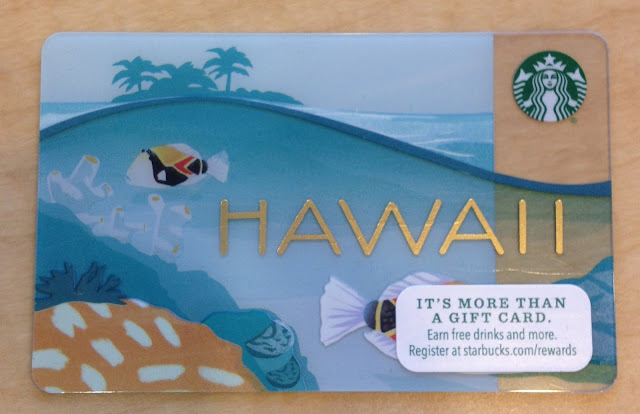 Starbucks' special edition gift cards sported two new designs this year --the humuhumunukunukuapua'a fish (above) which I found this summer, and the tropical red torch plant (below) which I picked up in the winter. 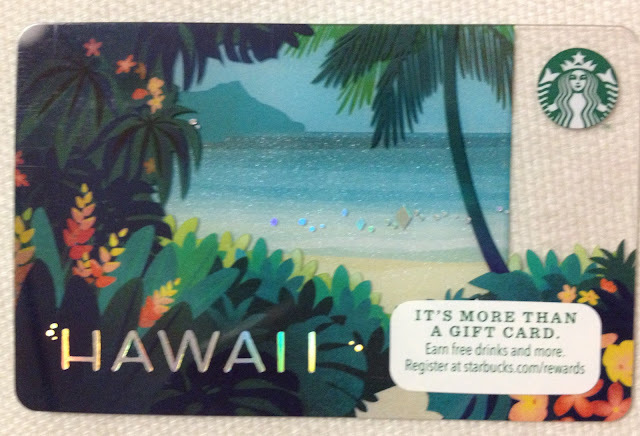 I personally love the card below but still stick to using the original special edition Starbucks gift card which is lined with vintage yellow hula dancers (see prior post). I brought these latest fish cards to the mainland to give away as souvenir gifts. They'd also make collectable holiday gifts for locals who mail Christmas cards/gifts to mainland folks, or for vacationing mainlanders looking for a practical gift to give with that special island touch.